This soup is a snap. So much so, that I’ve made more than a few big pots of it over the past few weeks. I bring tupperware to work filled with the stuff. I eat it for lunch, then I heat more up for dinner with crusty slices of Tartine bread and butter. I might be teetering on the brink of an overdose. But, I can’t help it. This soup is so simple and good. So, because there’s no recipe, I’ll just post a few guidelines and you can take it from there. I’ve included my favorite ingredients below. Remember, be bold! Get creative! I promise you really can’t go wrong. In a large stock pot, heat olive oil and add onion and a pinch of sea salt. Saute until lightly browned. Add 8 cups of chicken broth (more or less) and then the red lentils. Stir to combine. The rest is really up to you. Red lentils don’t need much time to cook, so I usually add the veggies and ginger right away and let them all cook and bubble together over medium-high heat. I’ve added the kale after the squash so it keeps its curl, but I’m not convinced it really matters. You can cover the pot or not, just be sure to stir every 5 or 10 minutes. 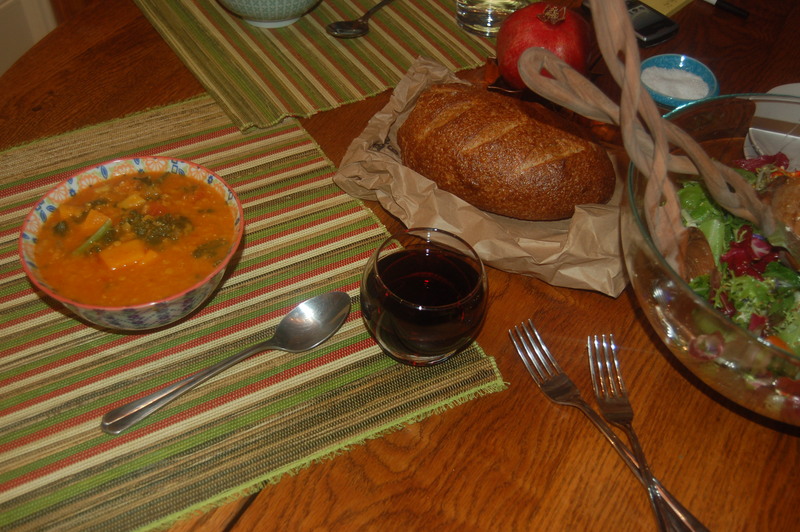 Once the butternut squash is tender, the soup is ready. Be sure to add plenty of sea salt, freshly ground pepper, lemon juice, and spices. Stir and taste, taste and stir. Some tasty alternatives to the veggies I listed above are: chunks of sweet potato, young broccoli, other squash varieties, sliced fennel sautéed with the onion, crushed garlic, and so much more. 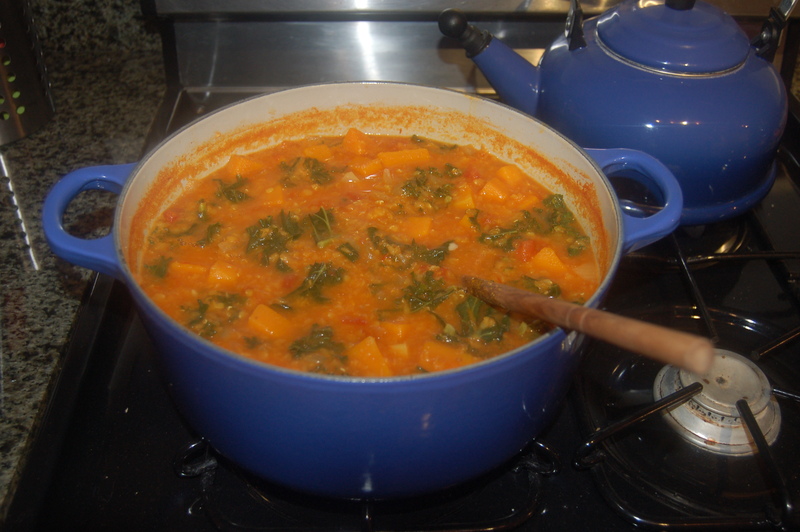 I can’t wait to make this at home – I hope the red lentils cook quickly! PS, I believe I see a groupon add on your blog.